Victims of asbestos related disease caused by exposure to W.R. Grace products may have to wait longer to receive compensation from the W.R. Grace Asbestos Bankruptcy Trust. 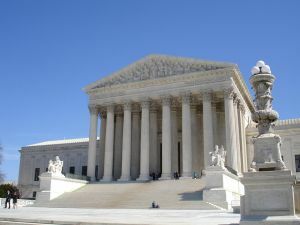 Although the company has been in bankruptcy for eleven years, appeals may still be filed up until July 11th, 2012, contesting the U.S. District Court’s confirmation of the company’s reorganization plan. From 1963 until 1990, W.R. Grace operated large scale vermiculite mines in Libby, Montana. The vermiculite W.R. Grace mined was used in production of it’s product Zonolite attic insulation. It is estimated that as many as 35 million businesses and homes were insulated with Zonolite attic insulation between 1920 and 1990. However, unbeknownst to the general public, the vermiculite being mined by W.R. Grace at Libby was contaminated with asbestos. In 2005, W.R. Grace and 7 executives at the Libby, Montana site, were indicted and faced prosecution from the U.S. Department of Justice for “knowingly” harming the people of Libby, Montana, and concealing information regarding the health hazards associated with it’s mining operation. According to the indictment, over 1200 Libby residents were suffering from an asbestos ailment. The case went to trial in 2009. Ultimately the company was acquitted in criminal proceeding that lasted over four years with appeals reaching the Supreme Court. W.R. Grace sought bankruptcy protection in 2001. The company has faced over 270,000 lawsuits stemming from asbestos related claims, with approximately 120,000 cases still unsettled. It was alleged by the Justice Department, that prior to filing for bankruptcy, W.R. Grace illegally transferred four billion to five billion to other companies, to shield it from the bankruptcy court. Thereafter the Court ordered approximately one billion dollars be returned to the company coffers. It is anticipated that there will be many more claims filed with the W.R. Grace Asbestos Bankruptcy Trust, by individuals who were exposed to Zonolite vermiculite contaminated with asbestos, and have since developed asbestos related diseases. Vermiculite is a naturally occurring mineral that expands with the application of heat. Asbestos is a naturally occurring fibrous mineral that is highly resistant to heat, and is virtually indestructible. Due to it’s heat resistant and strength properties, asbestos was widely used in insulation and construction materials for the greater part of the twentieth century. 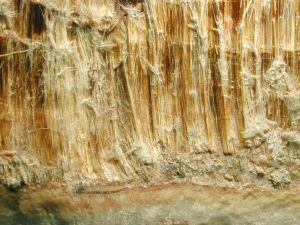 Asbestos was used in the production of asbestos cement pipe, also commonly referred to as transite, pipe insulation, drywall, drywall finishing materials, acoustic materials, stucco, concrete, floor tiles, gaskets, roofing materials, and in automotive friction components such as brakes and clutch parts. Individuals exposed to asbestos are at risk for developing asbestos related diseases, including asbestosis, lung cancer and mesothelioma. Asbestosis is chronic scarring of the lungs that makes it more and more difficult for an individual to breathe. Individuals with severe asbestosis often cannot breathe without the aid of oxygen and become increasingly immobile. decades after the exposure to asbestos has occurred. If you or a loved one has more questions about the information contained above, the attorneys at the Asbestos Legal Center are offering free consultations at 1-800-970-3878.